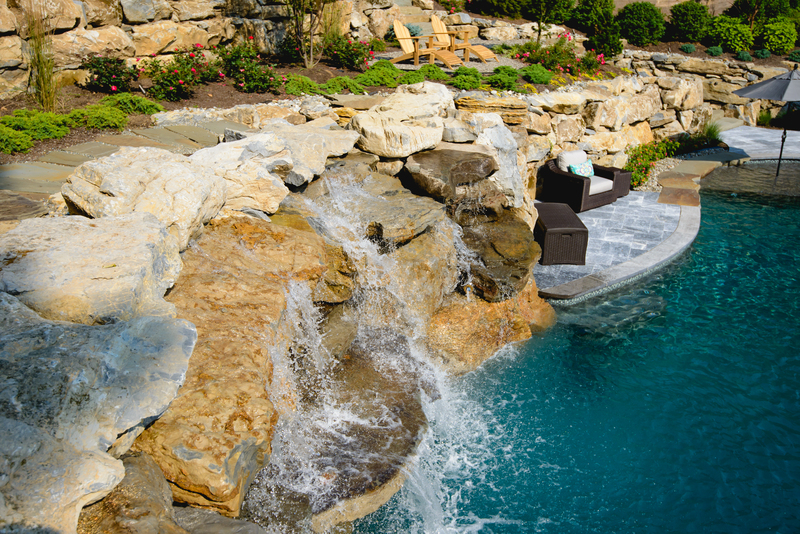 Expansive and intricate natural stone boulder swimming pool and spa, situated into the side of a mountain. 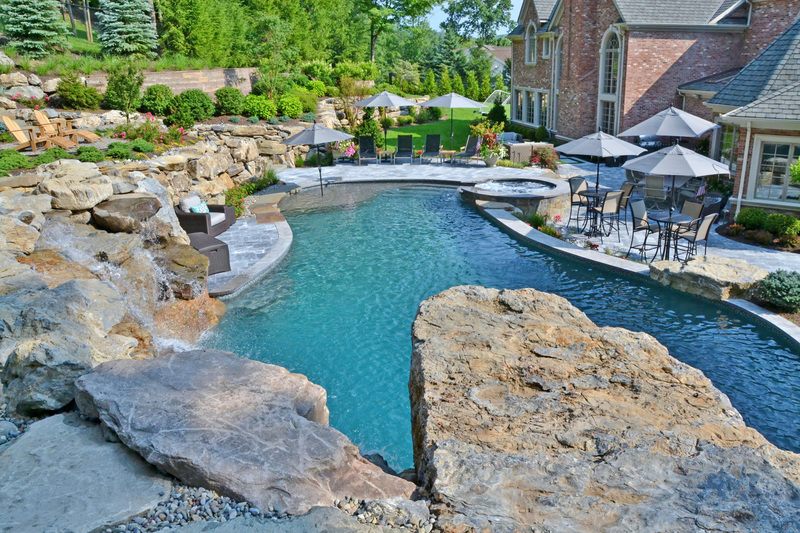 With a double waterfall and diving rock, this swimming pool is kid friendly as well as impressive to all who come to enjoy. This massive and elaborate swimming pool was built on a steep slope and carved into the side of a mountain. 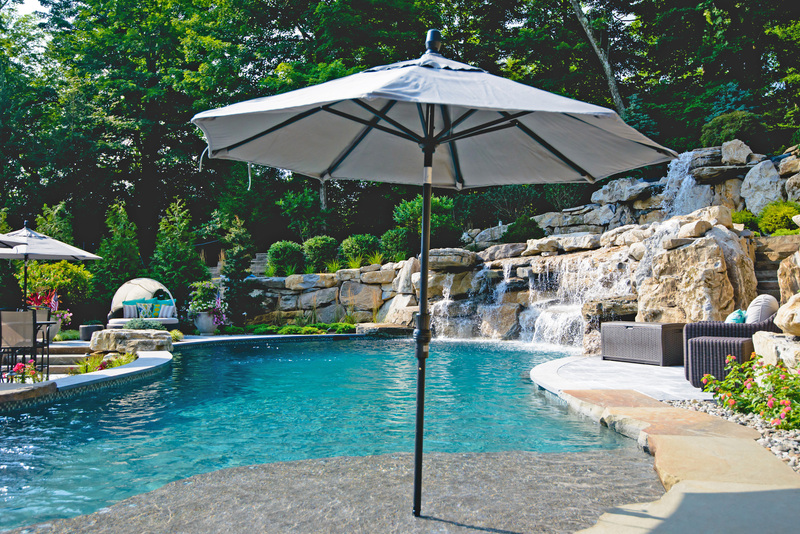 The goal for this pool from the beginning was to keep it looking natural but refined. 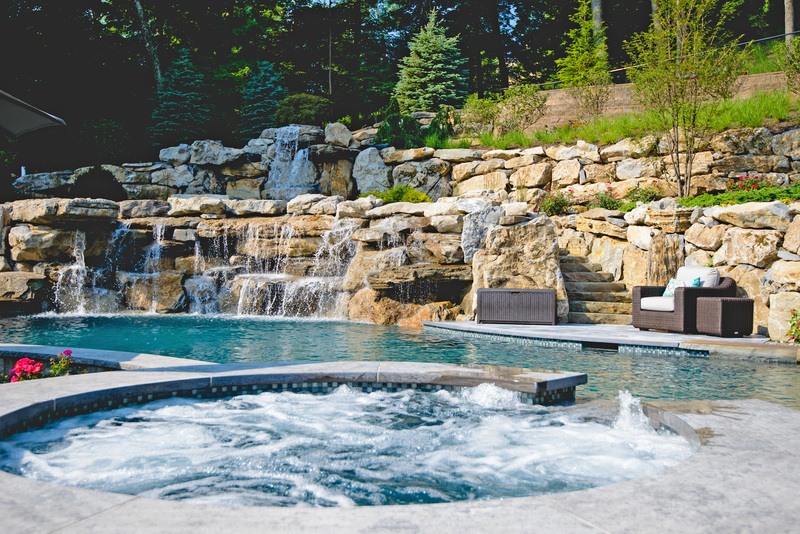 We incorporated deep blue marble patios with Hampton limestone coping and glass tile to keep the overall feel classic and eye-catching. A kid friendly design was also kept in mind throughout. 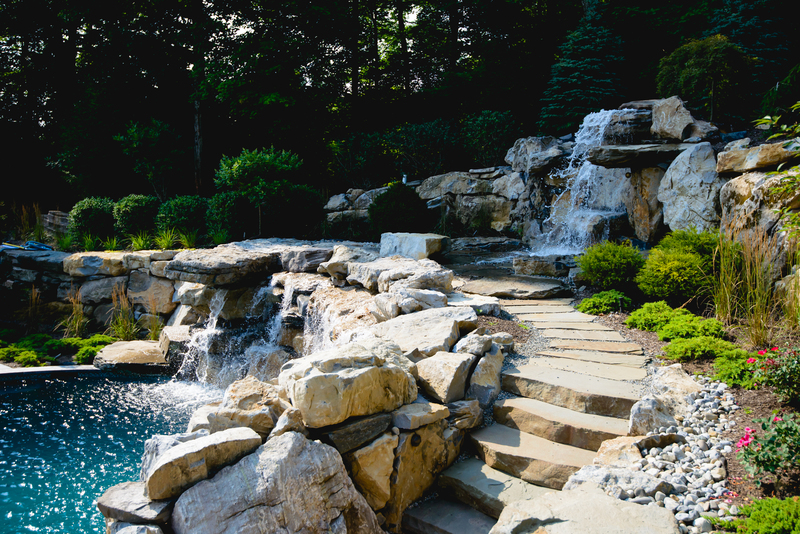 The upper waterfall was a disappearing water feature on the upper level that disappears into the stones and runs into the level waterfall.